Magento Pre-Orders vs Backorders: What Is the Difference? Since we have been providing Magento Pre-Orders extension for some time, people have been asking us to explain the difference between Backorders and Pre-Orders in Magento. 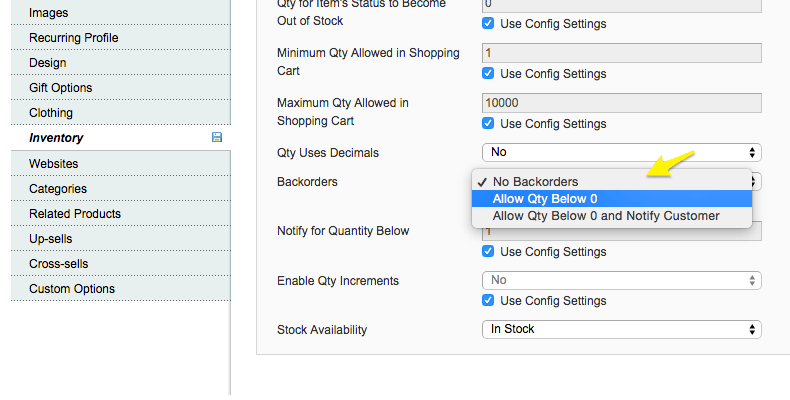 No Backorders – once the qty reaches 0 for a product, it becomes out-of-stock and cannot be ordered. Allow Qty Below 0 – once the Qty reaches 0 for a product, it remains in-stock and customers can order the product despite its negative quantity. If you choose the second option, nothing will really change for your customers on the front-end. They will be able to order the product as usual. The drawback is that you cannot limit the number of items customers can backorder – you can cap it only by reverting to No Backorders. Allow Qty Below 0 and Notify Customer – this setting is nearly identical to Allow Qty Below 0, the only difference being that customers get notified about their order being a backorder in the shopping cart. The fact that your customers learn that the product is being backordered only in the shopping cart might leave to shopping cart abandonment or general disappointment with the service. 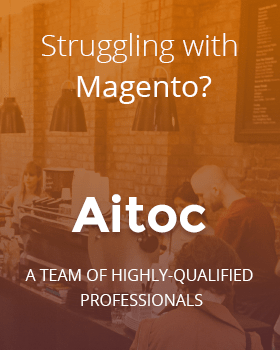 As you can see, while the Backorders functionality may come useful in certain instances, it lacks the flexibility required for advance orders and smooth ordering of out-of-stock items in a Magento store. 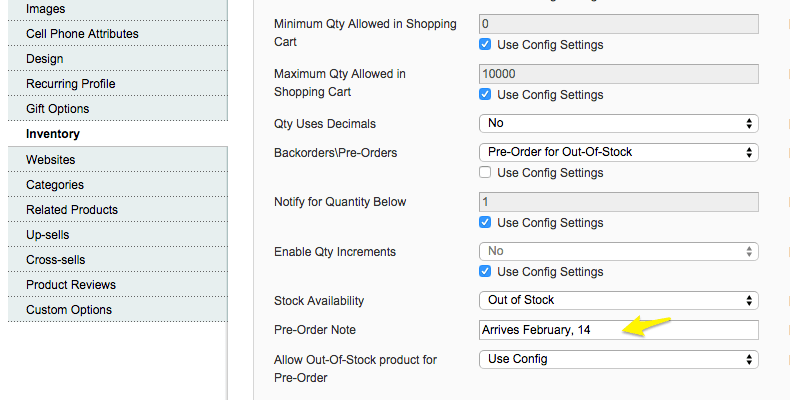 The Pre-Orders functionality is not available in Magento out of the box, so you would need an extension or a customization to make it available. Swap the Add to Cart button with Pre-Order on the front end. Specify the number of upcoming items available for pre-order. 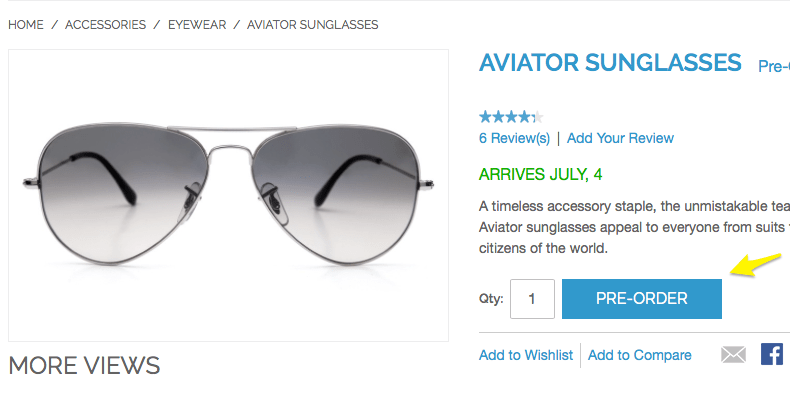 Add a custom message for a product (e.g., Arrives January, 4). Allow your customers to pre-order out-of-stock items. Sort Orders by Pending Pre-Order and Processing Pre-Order statuses. 1. What’s the difference between Pre-Orders and Pre-Order for Out-of-Stock? The Pre-Orders custom stock status should be used to sell soon-to-be-released items. If you use this option, you should set Stock Availability to In Stock, and specify the number of items available for pre-order in Qty. The Pre-Order for Out-of-Stock custom stock status should be used to sell out-of-stock products. 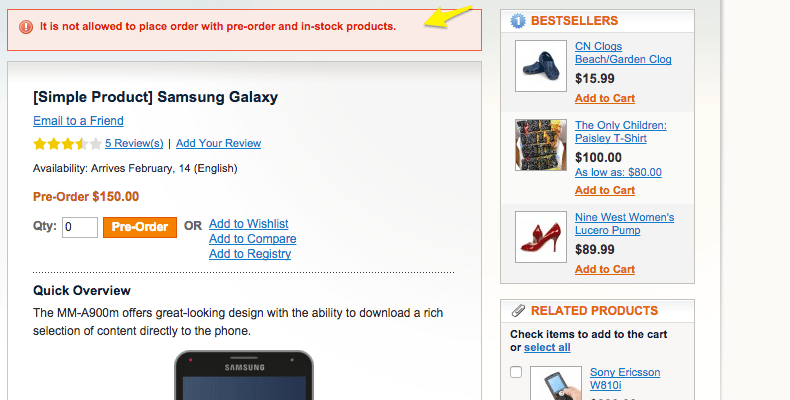 The Add to Cart button will change to Pre-Order automatically when a product goes out of stock. In both cases, the Add to Cart button will be replaced with Pre-Order on the front end. 2. Is there a way to display the expected arrival date of the product? The Pre-Orders extension allows you to leave a custom note that will be displayed on the product page and in the shopping cart. For instance, you can write something like “Arrives January, 4” or “Temporarily out of stock” (for out-of-stock items). 3. Will my customers know when the product arrives? Please note that the product is considered available when its status changes from Pre-Orders/Pre-Order for Out-of-Stock to No Backorders (in Inventory > Backorders / Pre-Orders). 4. Can customers mix pre-orders and regular items? It is up to you whether to allow customers to mix pre-orders and regular items in the shopping cart. Sometimes, you would want to prevent shoppers from doing that for easier Order management. If you wish to prevent shoppers from mixing the two types of items, set Restrict adding Pre-Order and regular products to cart to “Yes” in System > Configuration > Catalog > Inventory > Pre-Orders. 5. What type of products does Pre-Orders work with? Pre-Orders works with simple products as well as simple products that are part of a configurable, virtual, bundle or a grouped product. So, the default Add to Cart button is replaced with Pre-Order only on simple product pages. That’s it. 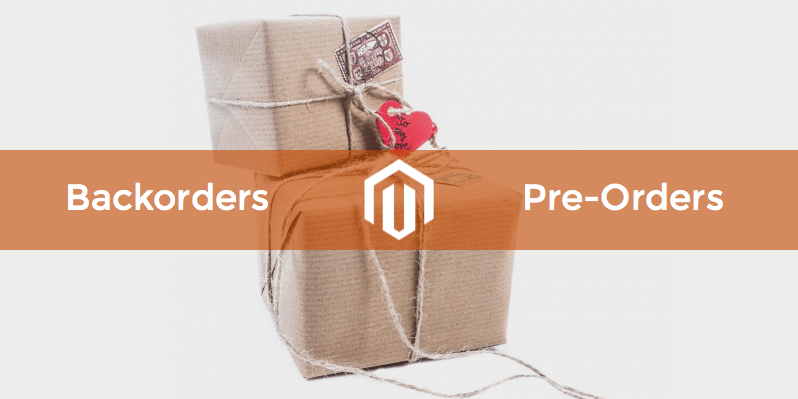 We have covered the main differences between Backorder and Pre-Orders in Magento, and went over some frequently asked question about our Pre-Orders extension. If we have missed anything or have left YOUR question unanswered, feel free to post it in comments!